I really enjoyed reading Just Accept It: Autocross Isn’t Racing from Bark M. - an experienced autocrosser who's competed and trophied at national level. It rang true to someone like me who switched to endurance racing after 12 years of autocrossing. 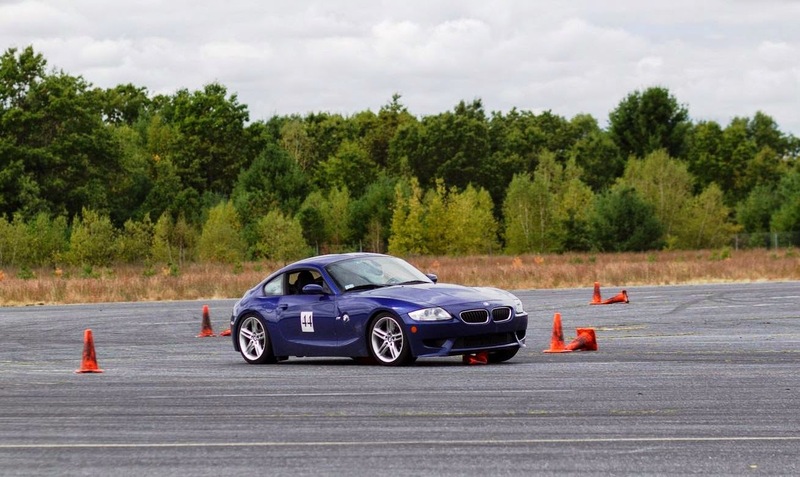 Autocross is a fantastic foundation for your driving skills and definitely something that everyone should do at least a couple of times a year. It's just not something that anyone should call "racing". Racing is when cars fighting for 51st position on the track go at each other -- a lot like this. A Very Cool Compilation of Eau-Rouge through the Last 20 Years! This is a very cool compilation of one of my most favorite turns of any track: Eau Rouge at Spa-Francorchamps. Make sure to read Wikipedia's page on Spa as well, especially the section on Eau Rouge (copied below as well). Until 2000, it was possible to travel over the race track when it was still a public road. At Eau Rouge, southbound traffic was allowed to use the famous uphill corner, while the opposite downhill traffic had to use the old road and U-turn behind the grand stands, rejoining the race track at the bottom of Eau Rouge. The most famous part of the circuit is the Eau Rouge / Raidillon combination. Having negotiated the La Source hairpin, drivers race down a straight to the point where the track crosses the Eau Rouge stream for the first time, before being launched steeply uphill into a sweeping left-right-left collection of corners with a blind summit. Properly speaking, the Eau Rouge corner is only the left-hander at the bottom. The following right-hander that leads steeply uphill, which was introduced in 1939 to shortcut the original hairpin "Ancienne Douane", is called "Raidillon". The corner requires a large amount of skill from the driver to negotiate well and the long straight ahead often produces good overtaking opportunities for the best drivers at the following "Les Combes" corner. The corner was tighter and narrower (it was made wider in 1970, when the circuit was updated) on the old circuit than it is today on the current circuit, which made it considerably slower. The 2005 and 2006 F1 World Champion Fernando Alonso explains: "You come into the corner downhill, have a sudden change [of direction] at the bottom and then go very steep uphill. From the cockpit, you cannot see the exit and as you come over the crest, you don't know where you will land. It is a crucial corner for the timed lap, and also in the race, because you have a long uphill straight afterwards where you can lose a lot of time if you make a mistake. But it is also an important corner for the driver's feeling. It makes a special impression every lap, because you also have a compression in your body as you go through the bottom of the corner. It is very strange – but good fun as well." The challenge for drivers has always been to take Eau Rouge-Raidillon flat out. Regular touring cars can take the corner at 160–180 km/h, Formula One at over 300 km/h. This is due to the huge amount of downforce on the cars. World Champion Jacques Villeneuve once spoke of the effects of downforce saying that to get through the corner they have to go faster as the faster the car is going the more downward force there is, thus explaining the phenomenon of Eau Rouge flat out. Still, a loss of control in this section often leads to very heavy shunt as usually the rear-end of the car is lost and the impact is most of the times lateral. Eau Rouge has claimed several victims over the years, including Stefan Bellof in a Porsche sportscar, Guy Renard during the 24h of Spa-Francorchamps in 1990 in a Toyota Corolla GT and also caused Alex Zanardi's in 1993 and Jacques Villeneuve's spectacular off in qualifying in 1999, which he described as "My best-ever crash", followed by his team-mate Ricardo Zonta's similar accident, leading cartoonist Jim Bamber to show BAR boss Craig Pollock telling Zonta: "Jacques is the quickest through Eau Rouge, so go out there and do exactly what Jacques does…"
Following the deaths of Roland Ratzenberger and Ayrton Senna at Imola in 1994, the following F1 races saw the introduction of chicanes made up from stacked tyres. The entry to Eau Rouge was obstructed in such a way in 1994, although it was returned to its previous glory the following year. The corner was slightly modified for 2002, but still retains its character. Testimony to the fame and beloved character of the Eau Rouge corner can be found in fan reaction to the Istanbul Park circuit in Istanbul, Turkey. When fans first got to see the course configuration at the start of the weekend of the 2005 Turkish Grand Prix, many noted that an uphill kink on the back straight was very similar to Eau Rouge; many jokingly dubbed the kink "Faux Rouge" (a pun on the name of the original Spa corner using the French word "faux", meaning "false"). 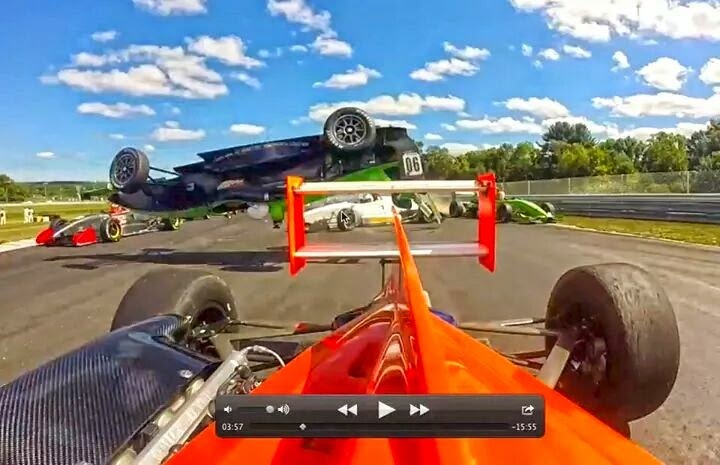 Is it too dangerous to race an open-top car? How high should the roll cage be? Should every race car have an arm restraint? Shouldn't every race car have a window net? How about padding on the cage? access to measure the wall thickness of the main hoop without obstruction. six inches when measured at the centerline of the tubing bar. b. The upper door bar shall not be placed higher than the top of the door or window sill. at or just above the door sill, joining the front hoop and the main hoop. floor- or sill- or mid-level door bar. 6. Each major load-bearing member must be formed from its own single, continuous tube. required but very strongly encouraged. the picture below or you’re going home. Does Ken Block Still Remember How To Drive in A Straight Line?! It's pretty insane for a tractor trailer to jump over a Formula 1 car but the Lotus F1 team pulled it off with one of their cars. This is not the most convincing ad for EMC's capabilities but the guys at Lotus must have had a lot of fun shooting the video. Hey -- why not have some fun, if you can get someone to foot the bill? The Volvo truck looks so menacing on the track, you can't not root for it!! What a perfectly executed slide! You can take Loeb out of rally, but you cannot take the rally out of Loeb! This is great racing all around. The video is long and if all you have is two minutes to watch it, start Here. Real picture, Xbox, or p'shopped?